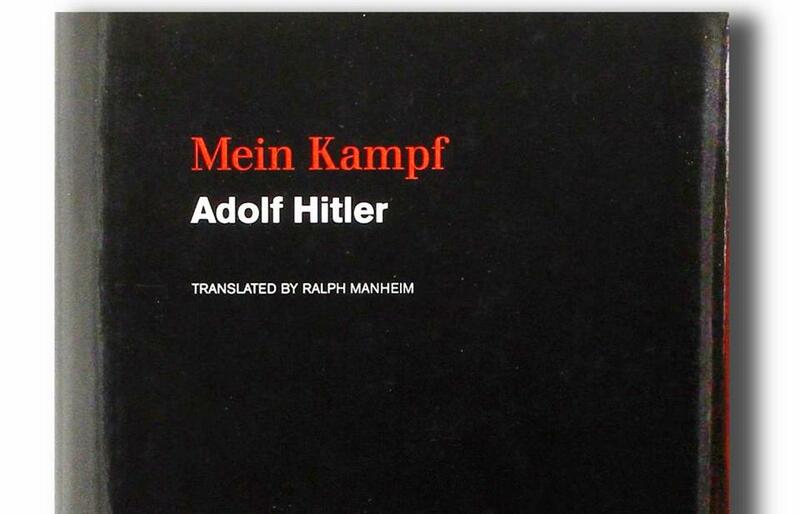 Adolf Hitler’s “Mein Kampf,” published by Houghton Mifflin Harcourt. In the end, Adolf Hitler’s tome of hate will bend to an act of love. Houghton Mifflin Harcourt, the Boston-based publisher of Hitler’s notorious anti-Semitic manifesto “Mein Kampf,” has decided to donate the book’s proceeds — reportedly tens of thousands of dollars annually in past years — to a local organization that works directly with aging survivors of the Holocaust. The decision marks a sharp shift for the publishing firm, which was criticized this spring after the Globe reported its plans to give royalties and profits from the book to Boston-area cultural organizations for projects to promote general themes of tolerance, not necessarily linked to Holocaust issues or combatting anti-Semitism. Andrew Russell, Houghton Mifflin Harcourt’s director of corporate social responsibility, said the publisher will give the funds in an ongoing multiyear grant to the Waltham-based Jewish Family & Children’s Service, which provides care to elderly Holocaust survivors through its Schechter Holocaust Services program. Russell said the publisher consulted with Combined Jewish Philanthropies of Greater Boston before making the decision. “Our intention has always been for these funds to have a positive impact,” Russell said in a statement to the Globe. Rimma Zelfand, CEO for Jewish Family & Children’s Service, said the funds would be used exclusively to help aging survivors of the Holocaust. Barry Shrage, president of Combined Jewish Philanthropies, said the publisher first reached out to his organization because of his relationship with Lawrence K. Fish, director and chairman of the board for Houghton Mifflin Harcourt. Russell declined to say how much money the book generates annually in royalties and profits, though a person familiar with the publisher’s past grant-making practices said that in previous years roughly $60,000 annually has come into a fund to disburse such proceeds. Russell said the “Mein Kampf” grants are discrete from the publisher’s other charitable giving programs, which last year equaled $238,000 in cash donations and an estimated $87 million in books. The company is no stranger to controversy when it comes to the profits and royalties of “Mein Kampf” (“My Struggle”), a version of which it has published continuously since 1933. The company initially sent royalties from US sales of the book back to Germany. With the outbreak of World War II, however, the United States invoked the Trading With the Enemy Act, requiring the publishing house to direct the book’s proceeds to the Justice Department, which transmitted them to the War Claims Fund. Houghton Mifflin reclaimed its royalty rights in 1979, keeping the book’s proceeds for itself until 2000, when an exposé in US News & World Report prompted the company to begin donating the funds to charities oriented toward combatting anti-Semitism or Holocaust education. In the summer of 2015, however, the company switched course, asking Boston-area cultural organizations such as the Museum of Fine Arts and the Boston Children’s Museum to submit proposals for projects that would promote a more general message of tolerance. But the plan backfired when the Children’s Museum, which had submitted a successful proposal, retreated from the deal, unsettled by the money’s association with the slaughter of some 6 million Jews. “I felt in the end that placing the consequences of this book in such close proximity to the Children’s Museum — with the care of this vulnerable population — I felt personally that this was not the right fit,” Carole Charnow, the museum’s president and CEO, told the Globe at the time. The MFA, meanwhile, never submitted a proposal. The publisher’s changed grant-making strategy outraged some area Jewish leaders. Word that Houghton Mifflin Harcourt had again shifted course and now planned to use the book’s proceeds to help Holocaust survivors was applauded by Robert Trestan, director of the Anti-Defamation League’s New England regional office. Trestan added that there are many other worthy causes that could benefit. Russell said the company’s decision to give the funds to help Holocaust survivors came after careful consideration.